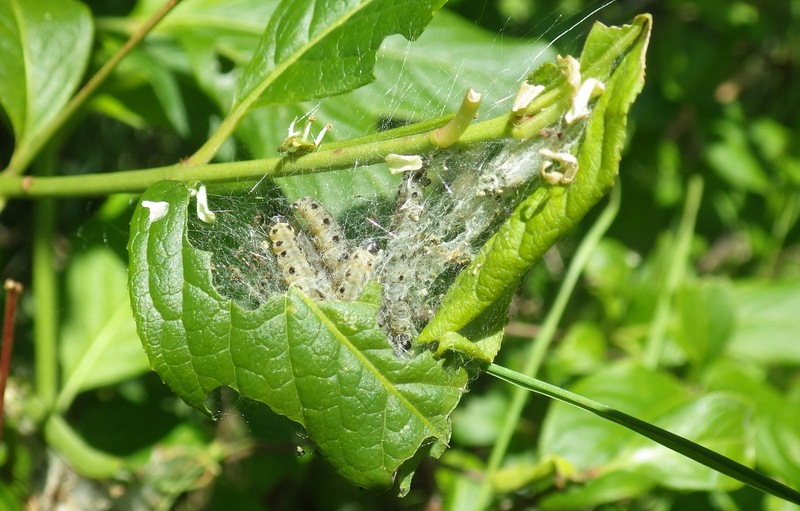 Plenty of `nest`s (larval webs) of spindle ermine Yponomeuta cagnagella on a large stand of spindle at `Ashpits Pond` between Burry Port and Pwll this afternoon. 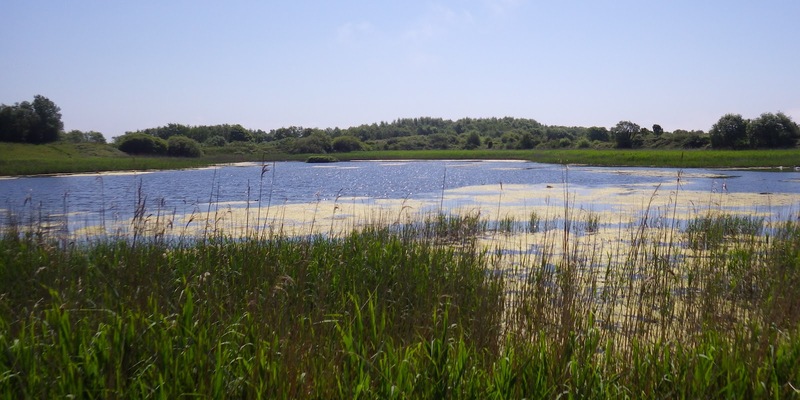 Above: spindle ermine caterpillars in their web and, if you turned around, Ashpits Pond (until the 1980s a settling lagoon for a now-demolished power station). Ringed china-marks were commonly flushed from the marginal vegetation.